One of the most popular switches available today is the Cherry MX Clear switch, sought after for its firm and smooth tactile feeling. The Halo Clear, designed and invented by Jacob Alexander, uses a special spring to give it the weight of the Cherry MX Clear, while still providing the velvety sensation from using a Halo slider. 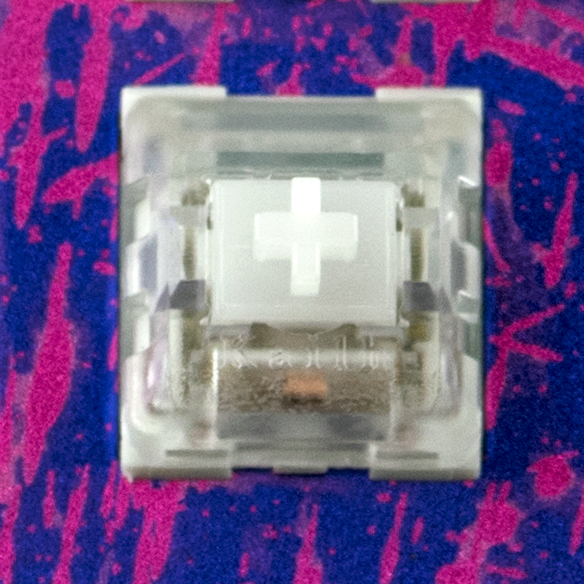 This switch was invented for the K-Type, to fill the void made a lack of RGB capable switches similar the Cherry MX Clear.